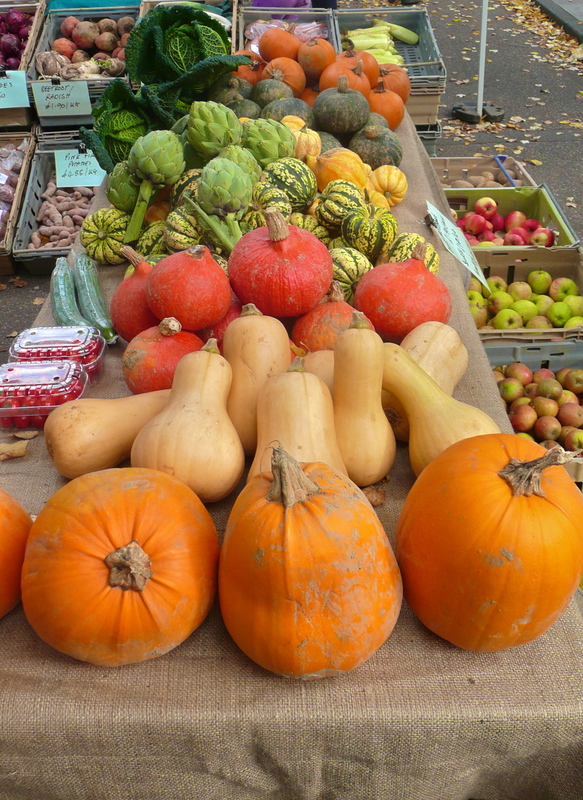 It is the season of mellow fruitfulness and the local farmer’s market is full of organic pumpkins and squash. After yesterday morning’s rant, I seemed to spend the rest of the day eating and preparing food. I am not a big fan of gluten free bread, as I think it is like vegetarian meat substitute, the work of the devil! 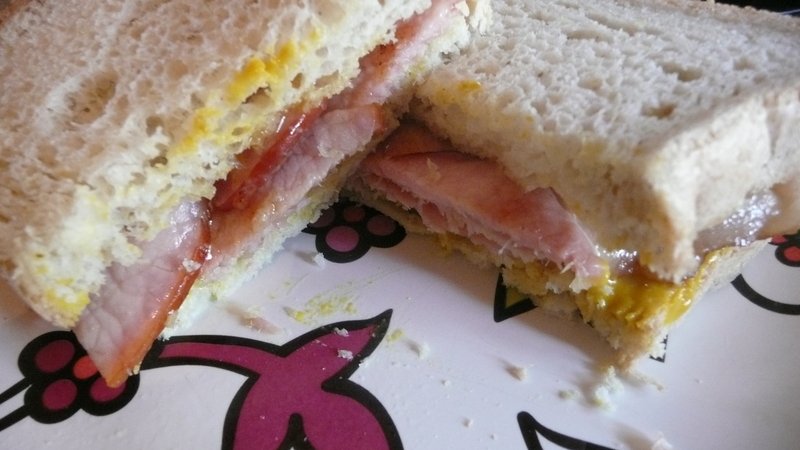 This is about the third time this year that I have indulged in a gluten free bacon sandwich! 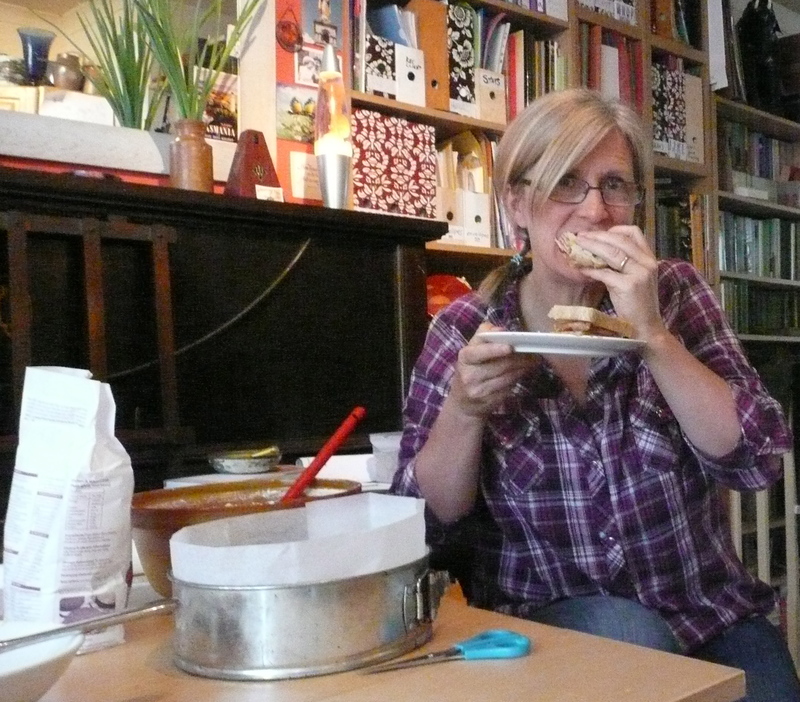 It was heavenly – that will do for another 4 months though…a bit too many ingredients in gluten free bread for me to trust it as a reliable food source. 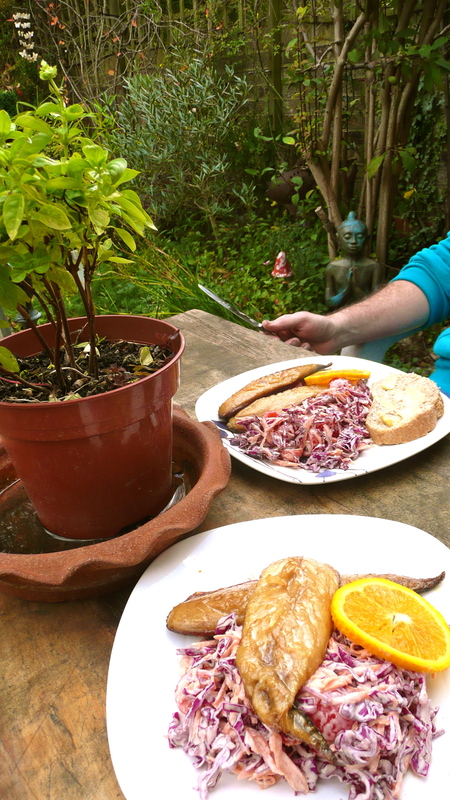 Then soon after the sandwich it was red cabbage, carrot and orange coleslaw with creme fraiche and mayonnaise and smoked mackerel, eaten in the garden, accompanied by some neighbour’s heavy drilling – way over the allotted construction hour around these parts. …Completely stuffed by 2 pm, what with the porridge, banana and maple syrup in the morning there would be no feeding necessary for the rest of the day, apart from a couple of carrot sticks and some hummous. you were only tomorrow’s chip wrapper. Mr P. is in competition with his landscape gardener partner who makes an obscenely wicked piece of Christmas cake. A small piece of PK’s annual Christmas cake ( and that is all you get!) will have any upstanding teetotal tottering in the aisles for the rest of the afternoon. He feeds his cake everyday with fine brandy for about 6 weeks. 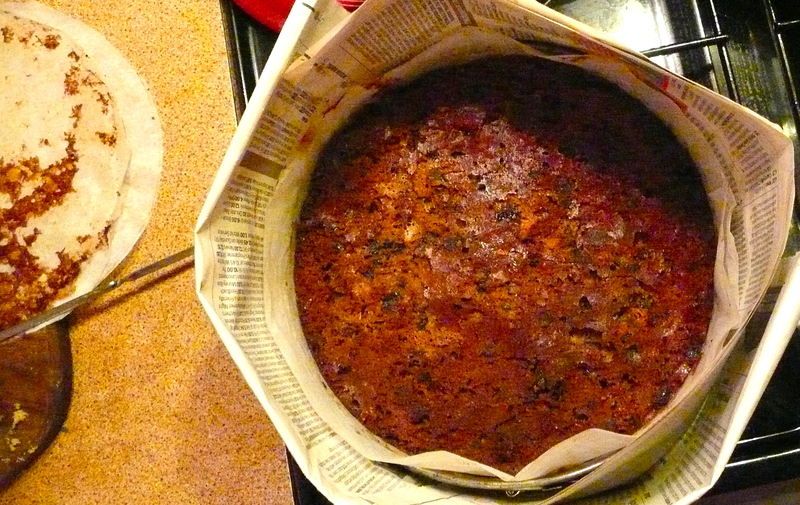 Mr P. is now in direct competition to try and make a fruit cake that is even moister and more alcoholic. Watch this space. 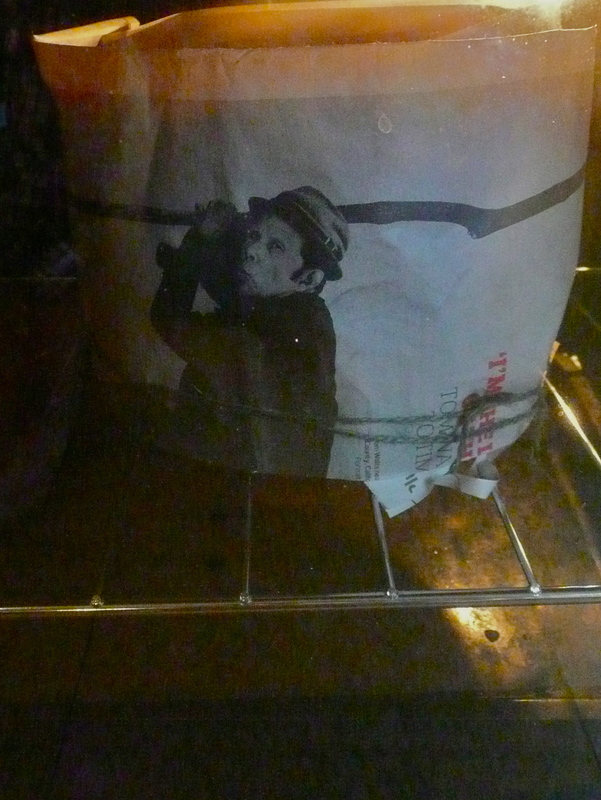 It seems bad form to not post Tom Waits today, especially as he has kept our Christmas Cake in one piece, and got really hot and dry in our oven. I wonder if this is what happened to him to get such a gritty gravelly voice in one so young. You will either love or hate his voice. 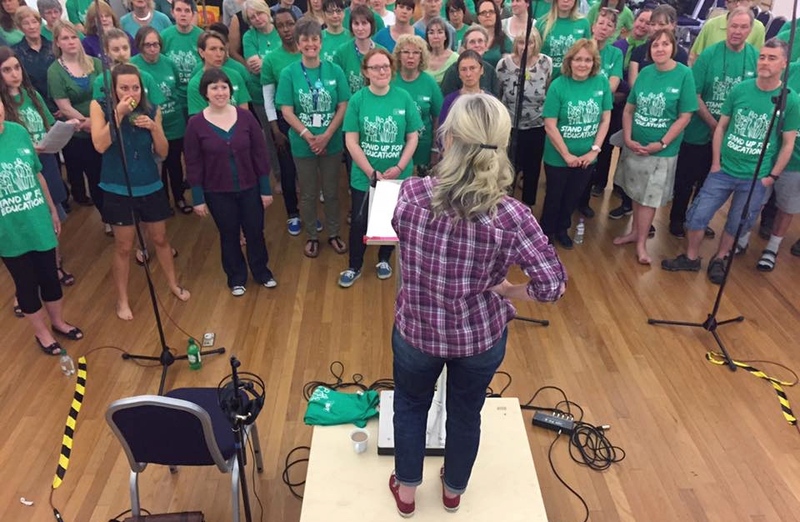 Lovely song.